Rwanda is known as Le Pays des Mille Collines (Land of a Thousand Hills) thanks to the endless mountains in this scenically stunning little country. Nowhere are the mountains more majestic than the Virunga volcanoes in the northwest, and hidden among the bamboo forests are some of the world’s last remaining mountain gorillas. For a change of scene, the shores of Lake Kivu conceal some of the best inland beaches on the continent, while Nyungwe Forest National Park protects extensive tracts of montane rainforest, and is home to many primates. Most people travel to Rwanda to trek with the endangered mountain gorillas. Yet, many others hold off on this once in a lifetime adventure because they buy into the idea that Rwanda, could still be unsafe and unfriendly to tourists. While the country isn’t as developed as it’s neighbours are, there’s a charm to Rwanda that can’t be explained or written about… it can only be discovered when you’re standing in the midst of all that may seem like chaos to you, but is however, simply Rwanda in all her glory. Traveling to Rwanda isn’t difficult. As tourism is growing with every passing year, the infrastructure there is steadfastly improving too and it’s becoming easier than ever before to explore this wonderful Land of A Thousand Hills. With so many natural wonders in Rwanda, it’s impossible not to enjoy an adventurous and exciting vacation. Rwanda, renowned as ‘land of thousand hills’ is an impeccably beautiful country; characterised by fascinating savannah, undulating hills and deep valleys, abundant wildlife and natural aesthetics. Rwanda is one of the countries that produce tea in Africa. Covering hectares of land are tea vegetation, rich greenery – plenty of lush green plantations. Rwanda is famous for its quality of tea along with the natural beauty of the tea garden and surroundings. Enormously found Rwanda’s slopes and caustic soils of highland region, with pleasant climate which makes it easy for plantation growth. This place is a great spot for sightseeing. Located at the base of volcano Muhabura, surrounded by precipitous peaks with Virunga volcanic mountains in the background, Lake Burera is one of the beautiful lakes of Rwanda. The lake’s beauty is difficult to overlook. Popular among the tourists, Lake Burera is surrounded by luxury lodges where visitors can stay during their visits to the lake and surroundings. Rwanda is a country with a diverse culture and rich heritage. The Rwandan cuisine is famous all over East Africa, with its signature East African dish – Ugali and vegetables. Rwanda cuisine is wide ranging in taste, flavour and variety such as Rwandan “Agatogo”, Green masala fish, and others. If you are a foodie, you should probably visit Rwanda to have a taste of their delicious dishes. Nyungwe Forest captivates visitors with its large concentration of primates such as Colobus monkeys and Chimpanzees. With numerous wildlife and attractions scattered around the forest, Nyungwe National Park is a place to be. Known for its natural beauty and diverse landscape, the park boasts a wide variety of exciting safari activities including sightseeing; luxury lodges and abundant wildlife species. 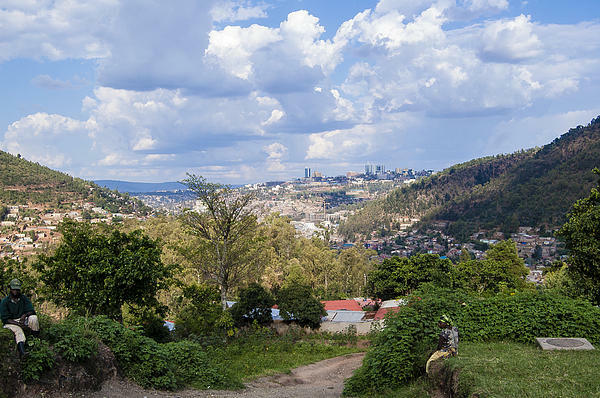 Rwanda has it all – stunning fascinations, history and culture, beach and lakeside attractions, amazing landmarks, lively nightlife and friendly people. These reasons should show you that Rwanda is really a great destination, suitable for your vacation. With Visa Lounge, you can now book your e-visa to Rwanda and experience a hassle-free visa experience.